Last week Sheepo (Fernando Benavides) presented his latest creation. 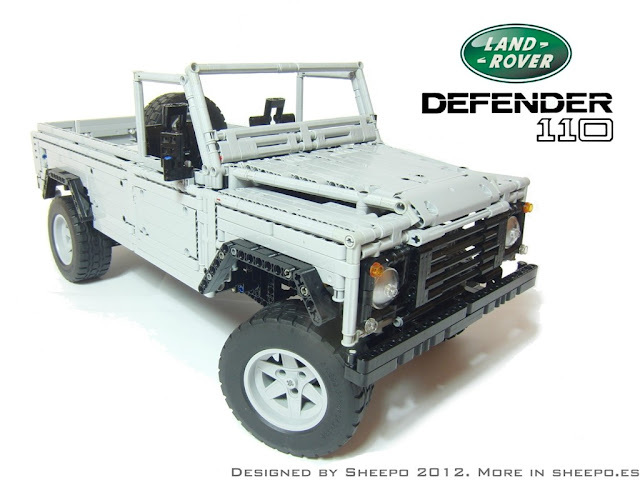 This time a Land Rover Defender 110, plenty of functions. Motorized drive with maximum spped around 4 kph (2,5 mph) in 5th gear. But let's see all them in action, from Shepoo's video below. You find plenty about the details at Fernando's blog and many more images from his Brickshelf folder. And finally you can find this creation now also at CUUSOO to cast your support. It is rolling with AWD and progressing quite fast!